The Sanghi temple, situated near Ramoji Film City is dedicated to Lord Venkateshwara Swamy and it graces an outcrop overlooking Sanghi Nagar. 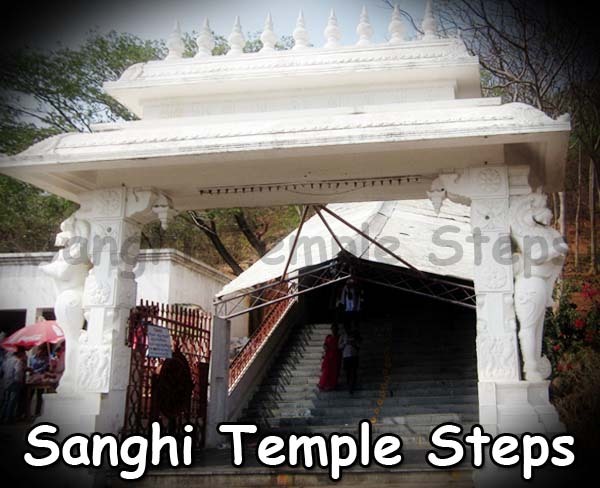 This temple is named after the family of Sanghis, owner of Sanghi group of industries. 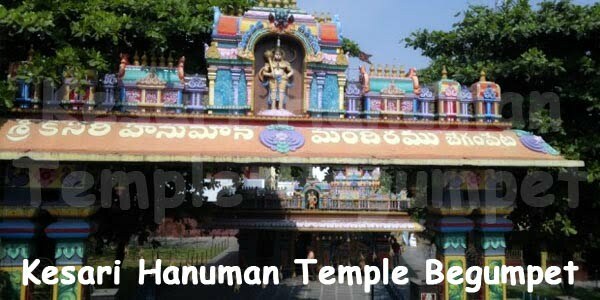 This is a beautiful temple constructed in South Indian style with many Gods in it. It has now become a favorite spot for film shootings. Also, the hill-top view is very revitalizing and the calm breeze brings delight and harmony. The best time to visit this temple is in the evenings during sun set which is very attractive. 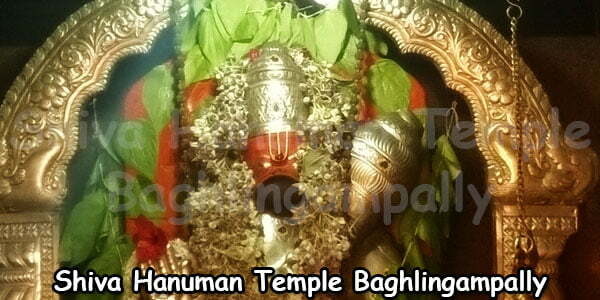 Sanghi Temple, located at Sanghi Nagar in Telangana in India, is 35 km away from Hyderabad city. The sacred Rajagopuram, which is very tall, is visible from several kilometers away. Sanghi temple complex is located on the top of Paramanand Giri hill, which attracts a number of devotees who seek the God’s blessings. An admired view among the visitors is the exquisiteness of the slope around the temple. As you approach the Paramanand Giri, the doorway or the Mahadwaram, welcomes the visitors inside. As you proceed further, the stone elephant is seen at the staircase. The foot of the hillock has three Gopurams that stand tall and look like touching the heavens. On top of the temple complex, a shrine of Lord Anjaneya, the son of Anjanadevi and Wind God, who is believed to shower his blessings on his devotees, can be seen. 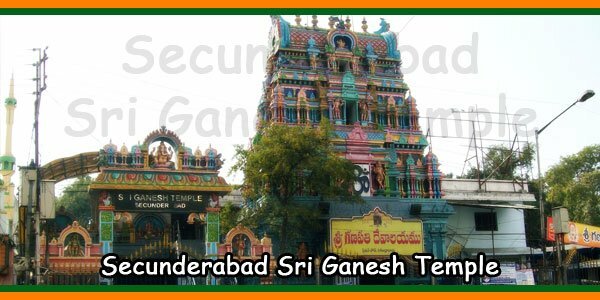 This Sanghi temple is constructed in South Indian style of temple architecture and is a house to all important Hindu Gods. It is a favorite visiting place both for the people of Hyderabad and other tourists. The idol of Venkateshwara inside the sanctum sanctorum is 9.5 ft tall. 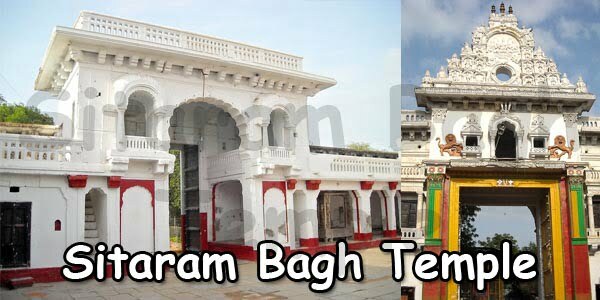 There are small temples inside the complex dedicated to Padmavati, Shiva, Rama, Anjaneya, Ganesha, Navagrahas, Goddess Ashtalakshmi, Durga and Kartikeya. There is also a Pavitravanam, or the holy garden in the temple complex where exceptional leaves and flowers are grown for performing pujas. 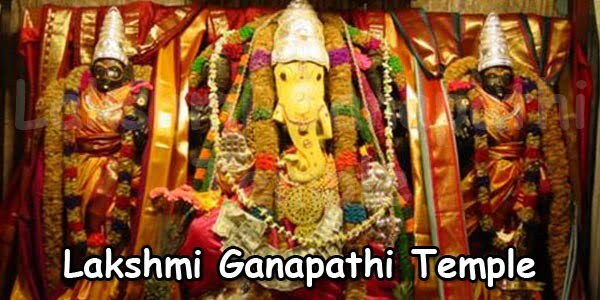 The temple opens at 5.00 am; Suprabhatam is recited for an hour followed by Archana to the deities from 6 am to 8 am. General Darshan for the devotees is allowed from 8.30 am to 10.30 am and again from 4 pm to 6 pm. 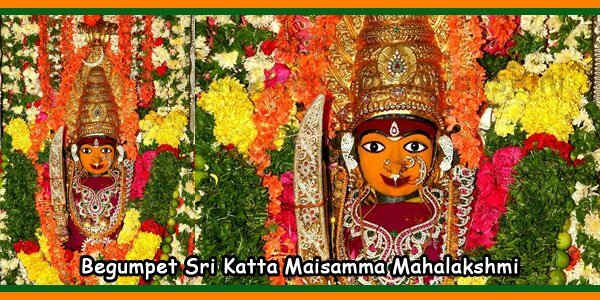 Pujas and Sevas are held between 6 pm and 8 pm. The temple remains closed between 12 pm and 4 pm and after 8 pm. 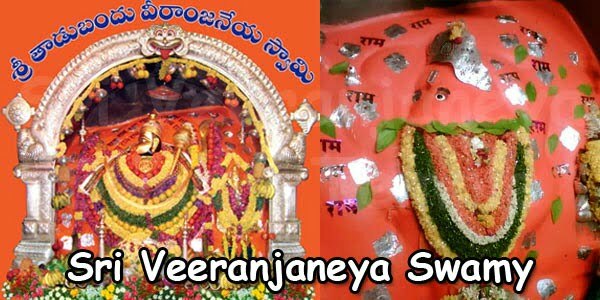 Weekly Abhishekam is performed to the deities between 8 am and 9 am accordingly, Sri Ramalingeshwara on Mondays, Sri Hanuman on Tuesdays, Sri Venkateshwara, Ashtalakshmi, Parvathi, Padmavathi and Rama on Fridays. 8.00 a.m. to 1.00 p.m. and 4.00 pm to 8.00 pm. Sundays, Festivals & Holidays: 8.00 am. to 8.00 pm. 8.00 A.M. to 9.00 A.M.
From Hyderabad 31 km (via NH65). From Hyderabad 38 km (via Hayath Nagar – Gowrelly Rd and NH65).